This is the simplest way you can add a person information on your website. Trendy, and very much easier compared to any other modules exists on the web, can be used in any web pages with less time configuration capability. Name : Write the name of the person. Position : Write the designation s/he is in. Image : Upload his/her image manually or you can provide the online image link either. Description : Enter descriptive texts here. Social Links : Provide his/ her social profile link. You can provide multiple social links using the + button next to this option. 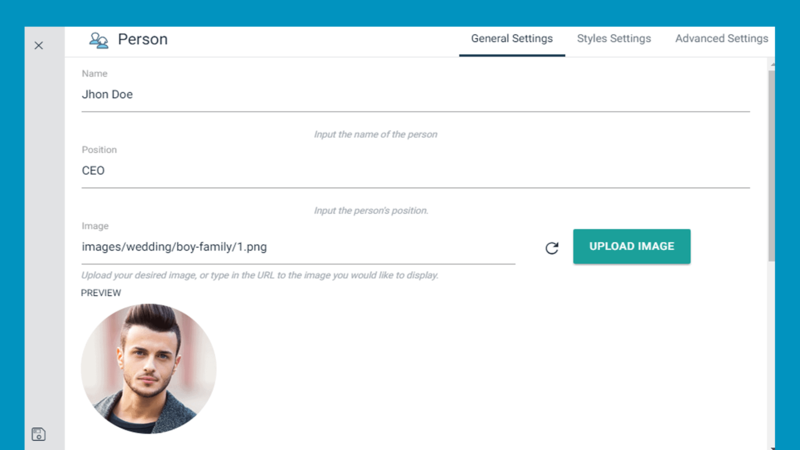 Image Style : Select an image style from the drop-down menu. Text Alignment : Set the position of the texts. It will affect on profile image as well. Animation : Select an animation for the module. Icon Color : Choose a color for the icon. Icon Hover Color : Choose a color for the icon hover effect. 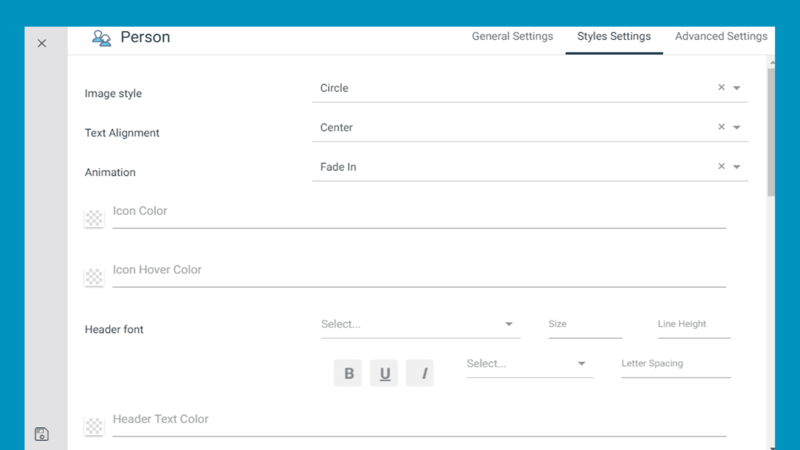 Header font : Select a font style for the header. 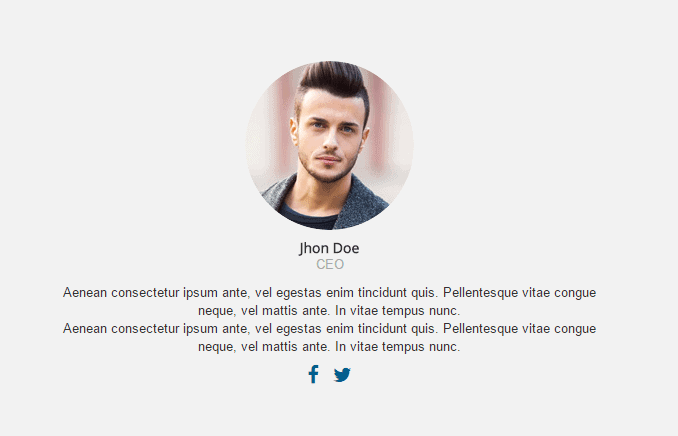 Header Text Color : Choose a color for the header texts used in the module. Header Margin : You can define the amount of margin pixel for Top, Right, Bottom and Left as well for the header. Position Font : Select a font style for the person's designation/position text. Position Text Color : Choose a color for the position texts. Body Font : Select a font style for the body field of the module. Description Text Color : Choose a color for the description texts. Body Margin : You can define the amount of margin pixel for Top, Right, Bottom and Left as well for the Body section of the module. Bg color : Set a color for the module body. Background Image : You can use an image as the background either. To do so, simply use the UPLOAD IMAGE button next to this option.